Life Explained EXPLORES HISTORY: The Past, the Present, and the Future. "Those who do not learn from history are doomed to repeat it." George Santayana. It seems that this quote may have been altered, or incorrectly attributed, but for this post that does not matter. History has become my obsession. Like any good obsession this started simply enough. A friend of mine told me about "podcasts." Little episodic units of information, or entertainment. There are thousands of them, covering topics from ancient Egypt to futuristic science fiction, conspiracy theories to religious services. I was lost, so it seemed like history would be a good place to jump in and start listening. Soon, I was stopping at the library on my way to the gym and researching further the subjects from the podcasts. It seemed like a good subject for My blog, a little about working out, getting in shape, and a little about the past. Of course, it would focus on the obscure details, and little idiosyncratic bits, the things that could easily be turned into light hearted fodder, for the endless parade of self indulgent fantasy that makes up Life Explained. Unfortunately, most things recorded through history are not very damned funny. In fact, most of it seems awful. And it just keeps happening, over and over again. None of which would fit in with the recurring theme of goofiness that makes up my other blog. Hence, the new blog. From this research, it seems we should alter the quote attributed to Santayana to say "Those who do not learn from history are doomed to repeat it, and those who do learn are doomed to watch others repeat it." Or maybe "Those who don't learn from history are doomed to repeat it, and those who do learn from history are doomed to repeat it." From Jethro Tull's Locomotive Breath. Throughout history, for various reasons, cities or states, later countries, would decide to take the possessions of their neighbors. The reasons were many, and made sense to the rulers, maybe it was a more defensible position, maybe it was to enhance food and material supplies, maybe it was religious convictions, but the need to conquer was always there. Athens, the birth place of democracy, couldn't help itself. Exerting "goodwill" all over the known world, until the rest of the world had just had enough. 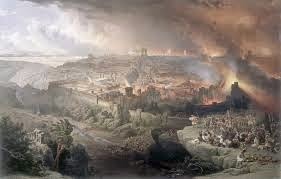 Rome was born, if you ignore the story of the twins being rescued, and raised by a wolf, through a defensive struggle, and took over the whole known world in a "continuous defensive campaign," until the rest of the world decided to struggle for themselves. As I continued reading, and trying to understand how this keeps happening, and how the modern world could get off the Jetson like treadmill, it struck me, there may not be a way out. This may be our destiny, the destruction of our "enemies." And, trust me, even a cursory glance backward will provide ample proof that everybody will, at one point, become enemies. So, what is the point? I don't know. Since I am looking into all of these societies, and there rise, and eventual self destructive attempts to "have it all" I might as well share it with you, and maybe we can all come together and say, this has gone on long enough. Tune in to our next exciting episode, it will either be Athens, or Assyria, or Rome, who knows? It doesn't really matter, they are all eerily similar, and the lessons are the same, not that anybody is learning anything from them. Nice work Tim! You are gonna be a busy man, writing two blogs. Very ambitious. Mike, this one might be a little work, because of the research, the other one just writes itself. For some reason, though, and I know it won't make any difference, this is one I feel compelled to write. No way to slow down." But, I hope I am wrong.